Neil Thomas knows what it takes to grow a world-leading Software as a Service (SaaS) company. 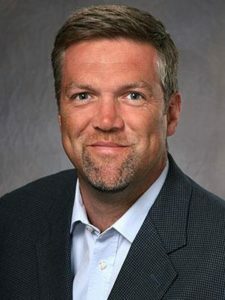 In his previous role as Senior Vice President of Worldwide Sales of cloud-based business analytics firm Adaptive Insights, Thomas grew the company’s sales team from five to 150 and its customer base from launch to thousands of enterprises in 80+ countries. This success followed a near twenty-year track record for establishing, developing and continuously improving global sales teams. 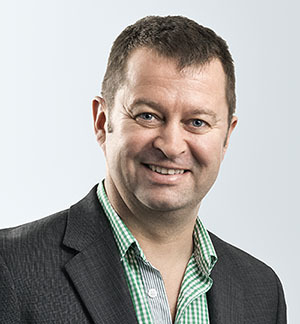 The UK-born Thomas says, “SLI’s success in expanding beyond its home market of New Zealand, recruiting world-leading brands as customers and growing around the world, particularly in the UK and the United States, is no mean feat. SLI CEO Shaun Ryan says, “Neil has led a sales organization through the type of growth that we intend to achieve over the next few years. This expertise and experience will further accelerate SLI’s growth. We are delighted to have him on board. 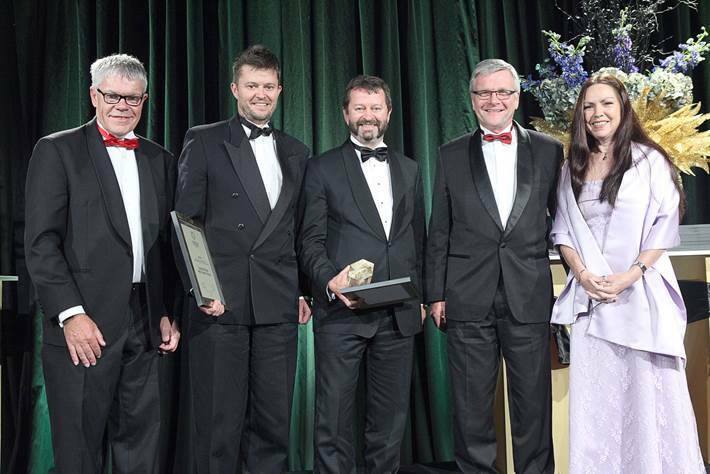 SLI Systems CEO Dr. Shaun Ryan and his brother and co-founder Dr. Grant Ryan were named “2014 New Zealand Engineering Entrepreneurs of the Year” at the New Zealand Engineering Excellence Awards. This accolade is one of the 10 awards SLI received this year. 2014 Customer Engagement Awards Retail TouchPoints – SLI customer Lakeshore Learning was awarded Gold in the Analytics category for measured results driving new market revenue using SLI Systems. Lakeshore joined 12 U.S. merchants, including Saks Fifth Avenue, Lowe’s and Sears. SLI’s capabilities to deliver insights into online shopping during Halloween and Thanksgiving is receiving exposure in global news outlets such as Forbes and CNN Money. 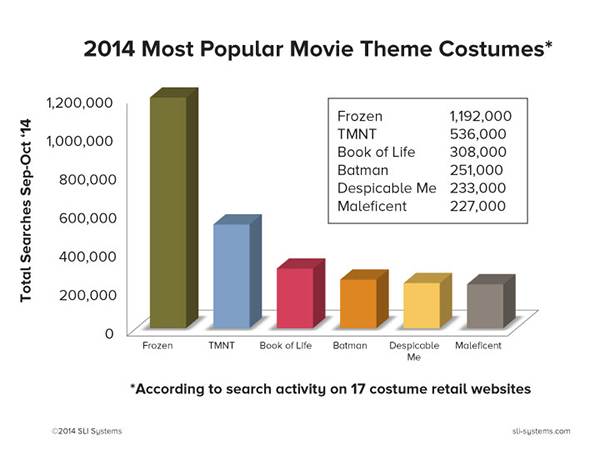 The company studied 2014’s most popular Halloween costumes with Frozen leading the pack. 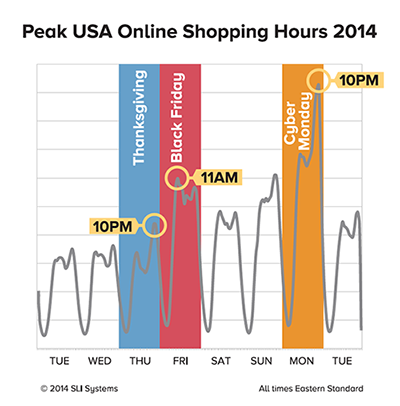 Also, the company studied recent U.S. shopping behavior and found Cyber Monday (Dec. 1) saw nearly 30% more online shopping activity than any other shopping day during the 2014 Thanksgiving-to-Cyber Monday holiday timeframe. Welcome to the first edition of our new bi-annual investor newsletter. In this newsletter we plan to provide updates on the company and its customers along with the deeper information you need to fully understand SLI’s market. This time I’ll kick it off with an overview of the e-commerce market and where we believe it’s going. When SLI started business in 2001, the e-commerce industry was in its infancy and the market opportunity for our site search solutions was relatively small. Today that market has matured, vastly expanding the opportunity for our services to improve the bottom line for online retailers around the globe. 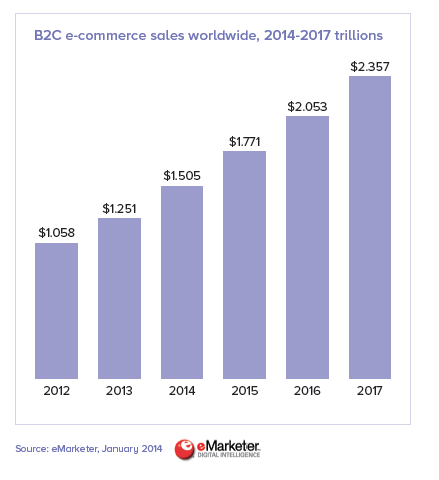 Worldwide business-to-consumer e-commerce sales are expected to increase 20% this year to reach US$1.5 trillion, according to eMarketer, with a compound annual growth rate of 17% between 2012 and 2017. RJ Metrics projects that 110,000 English-language e-commerce sites do business today. We believe that only a small portion of these sites have sophisticated site search capabilities in place. SLI is well positioned to capitalize on this global e-commerce growth. We have the people, processes and technologies to service a large number of retailers globally. With this continued growth the online retail market is moving toward more personalized experiences for individual shoppers. By providing each individual shopper with a specific, tailored experience, websites are able to further improve the customer experience and ultimately sales. SLI is well positioned to be a leader in this personalization trend. Our products are all built on patented technology that allows the website to “learn” from each individual shopping trip and to use the discovered information to present shoppers with an online experience that results in higher sales for the retailer. SLI offers Software-as-a-Service (SaaS) solutions to provide websites with site search, navigation, product recommendations, and user-generated Search Engine Optimization (SEO). SLI solutions increase the top line for e-commerce sites by making it easier for their customers to find what they are looking for and therefore easier to purchase. And this year our opportunity to help retailers improve business has just increased with the introduction of our two newest products – SLI Learning Recommendations™ and SLI Dynamic Product Banners™. 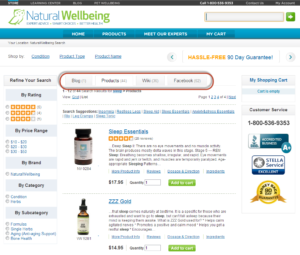 Learning Recommendations, an extension of the company’s foundational product SLI Learning Search™, displays highly relevant product recommendations in different areas of websites. Because the product automatically learns based on previous shoppers’ behaviour, Learning Recommendations can display the products that are likely to succeed in driving incremental sales for the retailer. 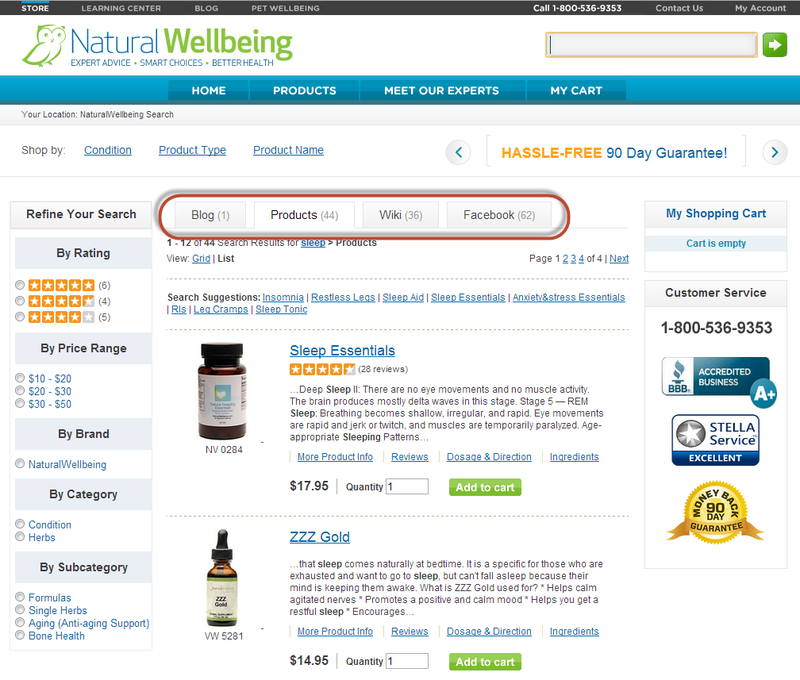 Dynamic Product Banners reduce bounce rates by showing related products to visitors arriving on product pages from Internet searches. By presenting shoppers with alternatives that are proven relevant to the products they have chosen to view, Dynamic Product Banners increases conversion rates and hence revenue from those people coming from search engines such as Google. And we have the results to prove it. For example, U.S. educational products retailer Lakeshore Learning saw a 30% increase in revenue on its e-commerce site after implementing SLI solutions. Chemist Direct, the UK’s leading online pharmacy, experienced a conversion rate improvement of 175% and a search average order value increase of 196%. We passed a significant milestone of a year and a half as a publicly-listed company and we are proud of our achievements during that time. Over this period we continued to build on our strong record of sequential growth. 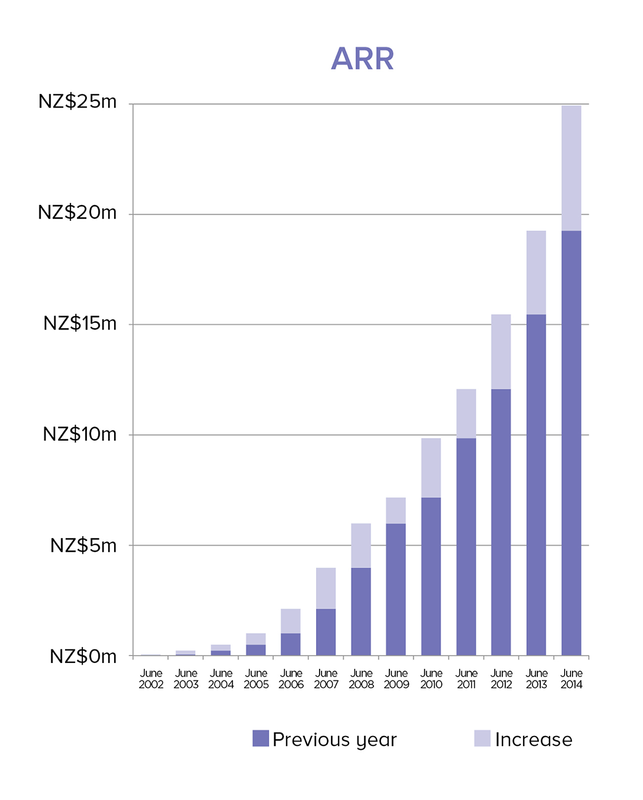 Annualised recurring revenue (ARR1) – our key measure of financial performance – rose 29.4% in the year to 30 June 2014. We have expanded our client portfolio with some exciting names this year including Battery Mart, LakeShore Learning, Exclusively Wedding in the U.S.; Brazilian pharmacy store Ultrafarma; Bathstore, Paul Smith, Jigsaw, Claire’s Accessories and Eason in the UK; and Kathmandu in Australia. These customers join names such as Fabergé, Sports Authority, World Soccer Shop, Harrods, plus many others. 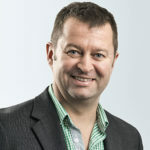 We are excited about having Neil Thomas join SLI as Chief Revenue Officer and President of North America. Make sure you read our article on Neil in this edition. We are also enthusiastic about the holiday season and the role SLI solutions will play in this critical time for retail. Our focus in the coming year is to ensure that the significant investments we have made in the business continue to deliver long-term value. We remain confident we can achieve these goals. 1Annualised Recurring Revenue (ARR) is calculated based on the subscription revenue generated from the existing customer base in the reference month and then annualised. ARR is calculated based on the exchange rates at that time. When ARR is presented for a historical time series all points are calculated on a constant currency basis. Survey Reveals eCommerce Marketers are Leaving Money on the Table. Are You? The results from our annual eCommerce survey are in. Unfortunately, what our latest survey revealed is that a majority of marketers are not taking advantage of the extra “punch” that site search can give their marketing programs. This represents a huge missed opportunity for eCommerce brands to improve ROI of their marketing campaigns and increase sales. According to our recent survey of 160 global eCommerce professionals, the majority (57%) indicated that they don’t tap into the wealth of customer information in their site search systems. The reason? Half (50%) said it was because of limited resources. Others (30%) simply don’t know how to use site search data effectively. And 10% said their existing site search solution doesn’t allow for integration with marketing programs. While I don’t doubt that some site search solutions have limited capabilities in this area, my guess is that most people aren’t using site search to its full advantage because they simply don’t know how, or they think it’s more effort than it really is. Savvy eCommerce marketers use site search data to deliver more customized offers in their email marketing campaigns. Jelly Belly increased their email open rate by 85%. PartySuppliesDelivered uses site search data to guide its Google AdWords campaigns. Motorcycle Superstore and others use SLI to create special site search and natural search landing pages that generate higher click-throughs and conversions, and even fuel their advertising initiatives. Looking to 2014, survey respondents clearly identified site search, SEO and eCommerce platform as the top three priorities for the coming year. Mobile initiatives and customer-focused analytics ranked next in priority. It’s great to see that site search remains a top area of focus in the coming year for retail brands, as it has in years past. Of course this is not surprising to me, as I’ve seen how even small improvements with site search can directly improve a business’ usability and profitability, making it one of the most valuable parts of any eCommerce website. My hope is that with this continued focus on search, marketers will take a closer look at the ways in which their site search activity and reports can improve the effectiveness and increase ROI of their marketing efforts. With the holidays fast approaching, now is the time to “think outside the search box” and use your site search to drive greater brand visibility and loyalty. If you need help putting some of these ideas into action, ask us how SLI can work with you to get them implemented quickly. For more insight into the thoughts and practices of eCommerce retailers, download our full survey report and analysis. Also view the survey results infographic. One of the most frequently asked questions when evaluating site search solutions is why a SaaS-based solution is better than on-premise. The reasoning may follow that with on-premise, you pay for software once, instead of monthly service fees. But while having a one-time payment for a software package may seem like the most logical and cost-effective solution, it can actually end up costing more in the long run. On-premise software solutions require an extraordinary investment not only for the up-front financial costs, but also in ramp-up time, education, support and maintenance. Typically the software will be full of features that cater to all the different uses, but many of these won’t be used by one individual customer. Additionally, on-premise software is generally slower to upgrade, with typically six or twelve month release cycles. SaaS solutions provide an answer to many of these issues, giving users more time and flexibility to support other business priorities. When you sign on with a SaaS solution, you’re not getting a piece of software and a general 1-800 customer service number – you’re getting a consultative group of industry specialists, dedicated to helping you achieve your goal. SaaS companies earn their money by having you as a long term customer – so they are financially incented to make sure you are happy and continue to use their software. SaaS companies can see how their software is being used, which helps build their knowledge of best practices. Since service is a key component of the model, you’ll find that SaaS companies have deep technical knowledge and provide value through excellent support, recommendations on industry best practices or specific features that will make your unique site shine. Going with a SaaS-based solution means you’ll also take advantage of faster deployment and ramp-up times. Your IT staff won’t have to invest the time and money to become experts at installing and maintaining their software. Technology, as well as customer preferences, is constantly changing. You’ll find SaaS teams to be agile in implementing new or complex features so you can quickly adjust to shifting demands. By adopting a SaaS solution, you can keep your in-house team focused on your most important daily priorities, and let a dedicated team of specialized engineers support your SaaS operations and maintenance. You’ll also avoid long ramp-up times spent in internal training and resources. Once implemented, you’ll receive tutorials and ongoing customer support for all of your teams. The bottom line is this: your new capabilities will be up and running more quickly, and you’ll save yourself a lot of time (not to mention headaches). Another great benefit of going with SaaS is that all customers receive regular, automatic access to the most up-to-date features and products. As new features, products or improvements are created, the technology is shared across all users. The best solutions’ features can also be tailored to meet your site’s specific needs, for a streamlined experience that isn’t one-size-fits-all. Often, these ongoing upgrades are available at no added cost. You avoid the hassle of later purchases and updates of traditional software licenses, as you trade one-time convenience with ongoing support, recommendations and continuously-improved technology. It’s also important to keep the stability of your software in mind. When your core business depends on whether your site is up and functional, it’s imperative that your site doesn’t fail. Make sure your SaaS provider has a network of multiple data centers and redundant server architecture to ensure that your site will continue to run smoothly even during high web traffic spikes or natural disasters. There is a high chance that your SaaS provider will have more sophisticated, redundant systems than you could ever afford. If your SaaS supplier is a global company then they will have support people based around the world. One of the biggest benefits we see is the ability to provide outstanding customer service and guidance. Knowing that you have personalized attention from your customer support representative and a full team of engineers supporting your eCommerce needs around the clock gives you peace of mind and allows you to focus on other important projects. The benefits of SaaS vs. software-based site search are clear, which is why I strongly believe in SLI Systems’ approach to providing the best site search, navigation and SEO solution for your eCommerce business. For the third year in a row, SLI was named the #1 SaaS Site Search provider to the top 500 online businesses as ranked by Internet Retailer, and a leading site search provider to the top 1,000 online retailers. Every day we see how introducing great site search is one of the easiest and quickest ways to turn more visitors into buyers. Earlier this month our customers were telling their stories at IRCE 2013 in Chicago. These are businesses like Samuels Jewelers, which doubled the per-visit value of their site search users after implementing changes that make search results more relevant. And Party Supplies Delivered, which increased their conversions by 203% after switching from their platform’s default search to advanced search. Al Gore’s keynote address was about the international opportunities that abound for eCommerce – an industry that is growing 15 percent each year, even during a period of global economic stress. “You need to think global,” he said, pointing out that the number of Apple iOS and Android devices activated in the U.S. was surpassed in January by those activated in China. The economic balance is shifting and we need to accept, and anticipate, change. We spoke with many online retailers who haven’t yet optimized their site’s search and navigation, and his keynote hit home. As eCommerce grows internationally, SLI plays a pivotal role in providing the tools that enable the best shopping experiences for customers around the world. Whether for large online retailers with multiple international sites or family-owned businesses, we work to provide the best products, resources and customer service, so that all of our customers can focus on what matters most to them – their business. As a company that has an established customer base spanning five continents, we understand the global opportunity. Brazil is one of our most recent, and fastest-growing markets, adding to our strong presence in the United States, the UK and Australia. We are working with some of the top Brazilian online retailers to improve their search and navigation, both on web and mobile sites. We are also starting to work with our first Japanese partners and customers. 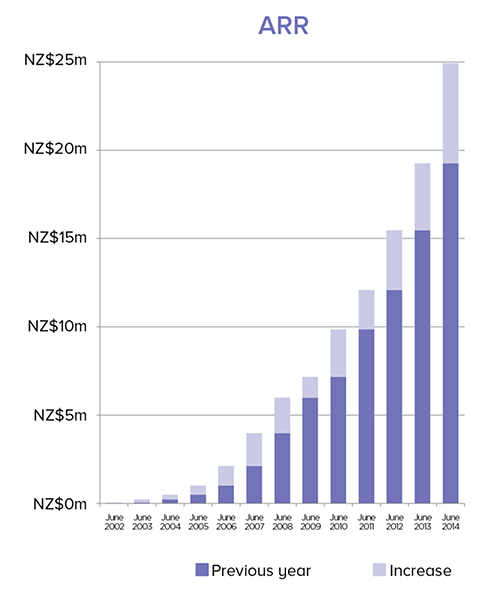 The vast opportunity for further international expansion is one of the reasons SLI Systems decided to raise capital through its IPO on the New Zealand Exchange on May 31, 2013. It has been an exciting time for SLI’s founders and investors as we’ve watched shares rise since the original offer of NZ$1.50. You can hear more about our story in this June 4 interview. We’ll use the investment to fuel sales, marketing and customer support as well as innovation, as we grow our engineering and product development teams. This will build on our tradition of bringing our customers the ongoing feature and product developments they need to make their eCommerce sites the most successful in an increasingly competitive marketplace. We believe that innovation and measured growth are the secrets of global success. Today’s online shoppers are starting to see gorgeous magazine-like sites tailored for mobile browsing, interactive tools that aid decision making, and the convergence of social and editorial to create highly-personalized shopping experiences. More and more of our customers are eager to work with us to integrate these features into their site search and navigation. As technology advances and global opportunities continue to expand, we anticipate and remain at the leading edge of the many innovations in eCommerce yet to come.